The plays of Shakespeare have provided plenty of plots for the composers of opera. Verdi famously used Othello and Falstaff, Britten A Midsummer Night’s Dream and Ades The Tempest. 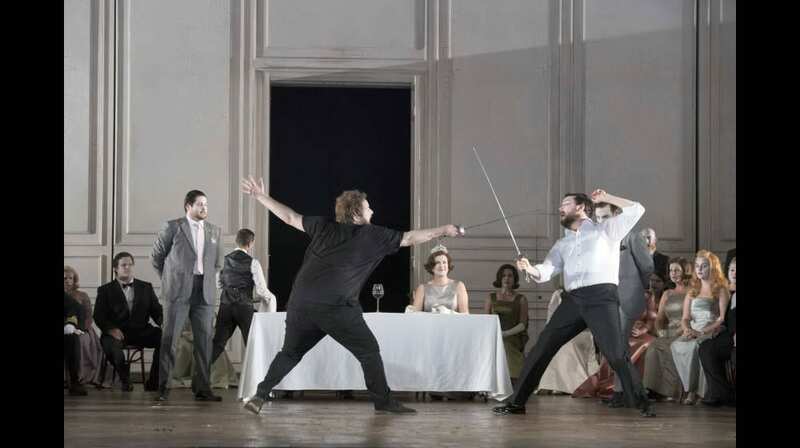 Australian composer, Brett Dean, commissioned by Glyndebourne Festival, has produced a thrilling setting of Hamlet that shares with the original both the melodrama of the ending but also the focus on the tormented personality of the prince. And with Allan Clayton’s towering performance in the hugely demanding title role, the whole experience for the audience is magical. The opera sticks very closely to the plot of the play, apart from its treatment of Rosencrantz and Guildenstern who become a comic double act and meet a tragic on-stage end. Hamlet’s father has died, and his mother has married his uncle, Claudius. His father’s ghost appears to Hamlet, says that he was murdered by Claudius and demands that his son takes revenge. Hamlet is tormented by doubt and cannot bring himself to do the deed. His one act of violence leads to the death of an innocent man and indirectly to the suicide of Ophelia, the woman he loves. At the end of the play, with Hamlet involved in a duel with Ophelia’s brother Laertes, mayhem ensues and the curtain falls on a stage strewn with bodies. Dean creates a sound world that is entirely suited to telling this tragic story. From the sinister deep notes emerging from the eerie darkness in which the opera opens to the series of duets in the last act’s formal duel scene, Dean finds ways to create fresh music that illustrates and enhances the action. And he uses all sorts of innovative means to achieve this, from the two percussionists in the side galleries high above the stage to the small chorus seated in the midst of the orchestra. All this is crowned by the wonderful performance of Allan Clayton as Hamlet. Dean is fortunate to have a singer/actor who can carry off the demanding central role so well. 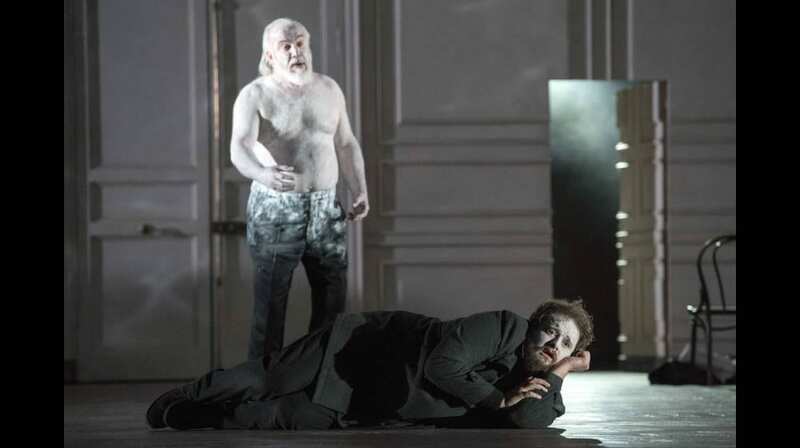 Clayton is on stage virtually throughout the opera and is entirely convincing as Hamlet’s mood swings between despairing, tormented, and murderous. To be fair he is surrounded by some splendid performance from other singers who give all the support he needs. Barbara Hannigan is superb in the role of Ophelia, especially in the mad scene. Sarah Connolly as Hamlet’s mother and John Tomlinson in the triple role of ghost, gravedigger, and first player are both tremendous. 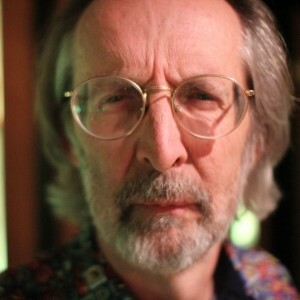 Kim Begley in the thankless role of Polonius invests him with a fragile dignity that makes his death truly sad. With Vladimir Jurowski in the pit, the London Philharmonic are at their best and the performance feels secure and well-paced. 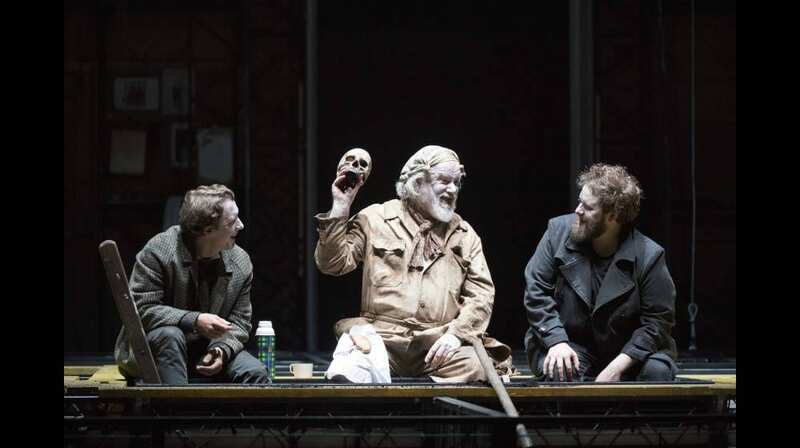 Given that the entire audience is likely to be familiar with the story, Neil Armfield’s direction is crisp and clear and finds some fresh insights into the famous dilemma faced by Hamlet. The sets are functional rather than inspired but they have the merit of being mobile thus allowing speedy changes between scenes so that the narrative flow is not broken. 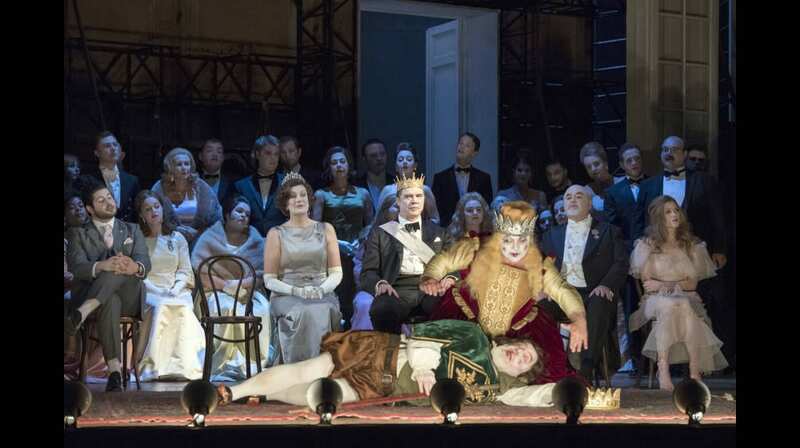 This a modern opera that we should hope finds its way to other opera houses very soon. Cast includes: Allan Clayton, Barbara Hannigan, Sarah Connolly, John Tomlinson. Dates: 8 performances between 11 June and 6 July.